A Crockpot. Keep your Hot Chocolate warm with a crockpot. Use a ladle and a good sized mug to enjoy this beverage. By using a crockpot, you minimize any injuries touching hot lids and cut down on clean up afterward. Candy. Chopped up candy makes a delicious topping on a cup of hot cocoa. Peppermint, M&M’s, and marshmallows are the standards, but you can get as creative as you’d like here! Whipped Cream & Marshmallows. Can you even have cocoa without whipped cream or marshmallows? We didn’t think so! Bonus points if you use flavored whipped cream or colored shaped marshmallows. 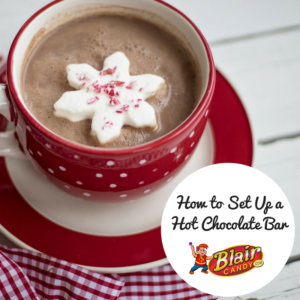 Are you ready to add a Hot Chocolate bar to your festivities? Visit us at BlairCandy.com for all of the candy in bulk you need for a successful hot cocoa bar. Stay warm and cozy with your custom cup of cocoa today! Pocky: Choose from either chocolate, strawberry, or green tea flavors for fun treat! Each box has biscuit sticks dipped in a cream of one of the flavors we mentioned above. Lance Crackers: The classic cracker with filling…you can’t go wrong! 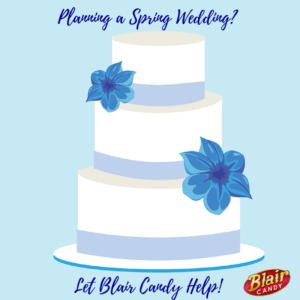 Choose from a variety of flavors, like peanut butter crackers or jalapeno cheddar to name just a couple. Moon Pies: If you haven’t introduced your kids to Moon Pies, you should. A double-decker sandwich cookie with marshmallow filling will be an instant hit. 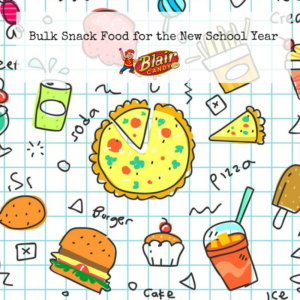 Make school lunches fun with these and other snack foods from Blair Candy! We have plenty of bulk snack food to make it easy to pack lunches and keep your pantry stocked. Regular Gummy Worms. Who doesn’t love gummy worms? These are the regular, not sour, fruity, chewy gummy worms that inspired the other gummy treats out there. Don’t worry, we have sour worms too! Strawberry Creams. Strawberry and crème is a classic flavor combination. Each sweet strawberry gummy has a cream twist for a delicious treat. Fruit Rings. Choose from either the traditional peach gummy ring or try our gummy apple or melon rings. Each ring is packed with flavor and is coated in sugar for a delightful snack. 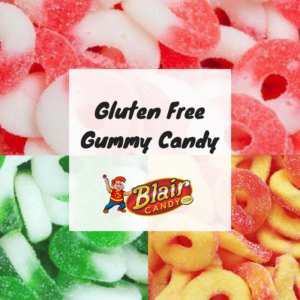 There’s plenty of other gluten-free gummy candy options on BlairCandy.com! Find these and other fun, funky gummy candy for you to enjoy. Shop all gluten-free candy today for a sweet, but not restrictive, treat!